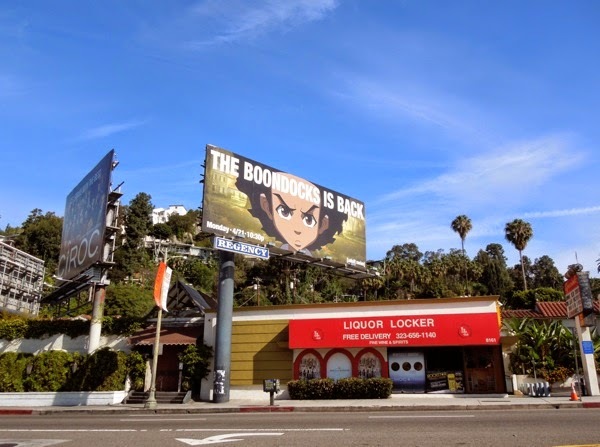 Just like the billboards says, 'The Boondocks is back', and don't expect anything other than controversial views on issues such as race, religion, politics and war, in this edgy, high-acclaimed and often polarising animated series. 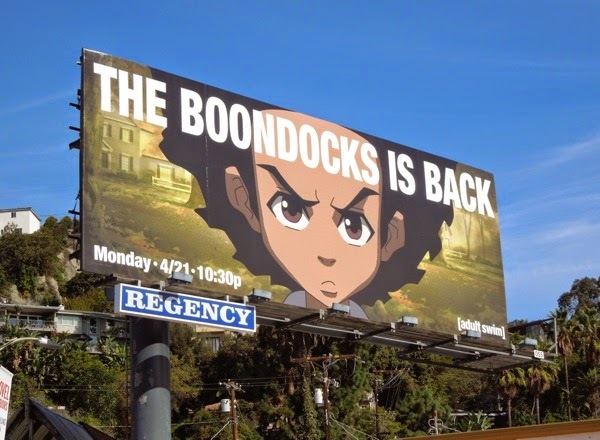 After a long absence from Adult Swim, 10-year-old African American radical 'Huey Freeman' is back along with his gangsta wannabe younger brother 'Riley' (both voiced by Regina King) for a fourth and final season. 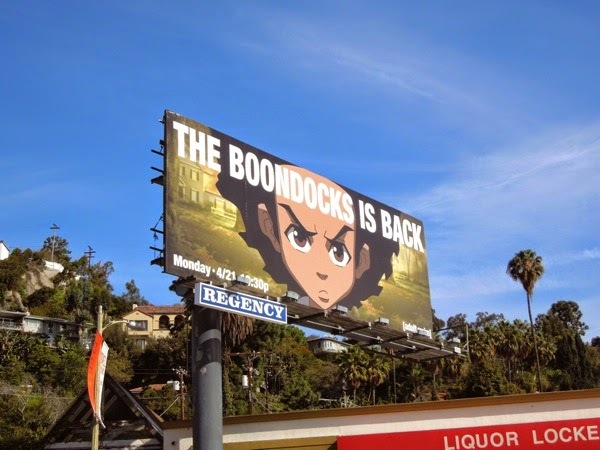 Surprisingly who's not back is the series creator Aaron McGruder, who based this cartoon show on his comic strip of the same name about two brothers who moved from the south side of Chicago to the Baltimore suburb of Woodcrest, to live with their short-tempered grandfather. 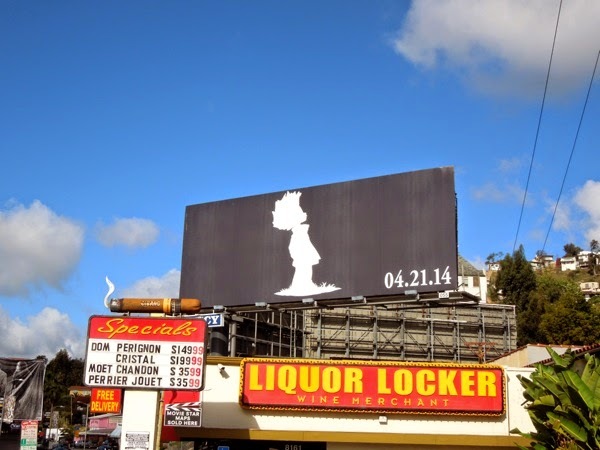 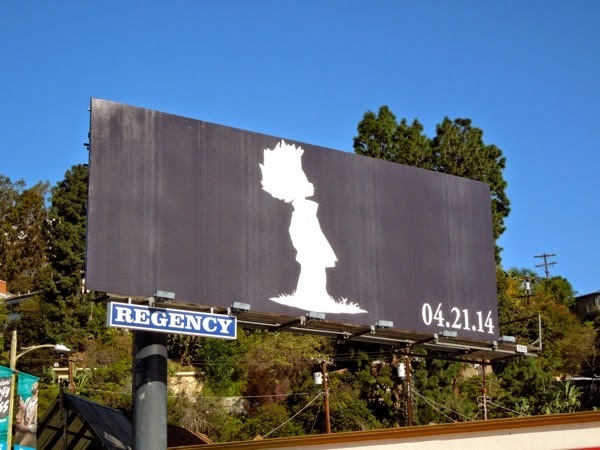 The teaser billboard for this final season featuring an instantly recognisable silhouette of Huey (to fans at least) was spied along Sunset Boulevard on March 16, whilst 'The Boondocks is back' reveal billboard was photographed on April 3, 2104. 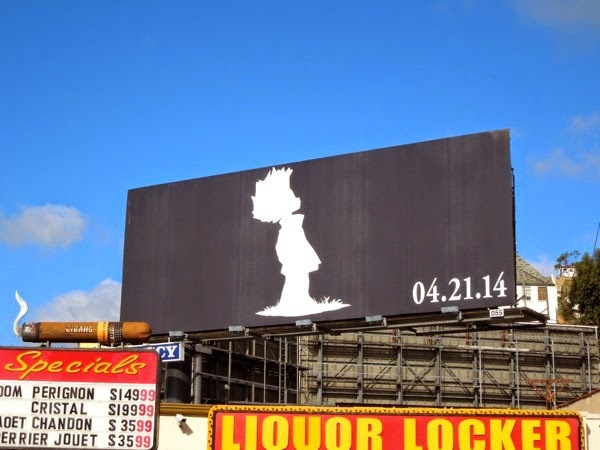 If you're a fan of the show, be sure to also check out this season three billboard for The Boondocks from May 2010, plus stick around and take a look at more eye-catching Adult Swim ad campaigns here at Daily Billboard.